WomenInc: WOMEN Inc. is a network for all women who want to empower themselves and each other. Vrouweninfo: It provides current information about women and women studies. EQUAL Project Participation of Women as Priority for Science: It provides information about the promotion of the use of female potential in science and support. Vrouwen Wetenschap: A gateway to knowledge about women and science. Vereniging voor Vrouwengeschiedenis: A platform for gender history (including both women and men) and is aimed at academics, students, teachers and everyone who is interested in gender history. Open Colleges has created a handy timeline and some useful statistics to get you up to date. Faculty of Faculty of Geosciences: University Utrecht. Faculty of Earth Sciences: VU Amsterdam. Faculty of Civil Engineering and Geosciences: Delft University of Technology. ITC: Faculty of Geo-Information Science and Earth Observation of the University of Twente. NVR: An umbrella organization of women's organizations. Vrouwen.Net: A platform for women's organizations and women who want to make use of new media and information technology. Atria: Institute on gender equality and women's history provides descriptions of and links to websites that provide information concerning the position of women and women studies. Vrouweninfo: Current information about women and women studies. VHTO: Association for Women and Higher Technical Education. VWI: Female network of Engineers in Wageningen. VVAO: Dutch Association for highly educated women. Vrouwen Milieu: Center for women and the environment. EPWS: European Platform of Women Scientists. AWG: Association for Women Geoscientists. Women in Mining: This organization is dedicated to educating students, teachers and the general public about the importance of minerals. KNGMG: Royal Dutch Geological and Mining Society. 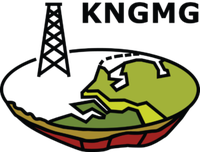 KNAG: Royal Dutch Geological and Mining Society. Academictransfer: Vacancies at universities, and links to other companies, institutions and non-Dutch universities and similar. Studentlinks: Links for students. With information about internships and jobs. Ecojob: A national bureau specializing in staffing, secondment and recruitment of staff for the environmental sector. Delta: A national bureau specializing in staffing, secondment and recruitment of staff for the environmental sector. Inframatch: A job bank for infrastructure divided into the following sections: road engineering, construction, geotechnical engineering, agricultural engineering, planning, traffic engineering, environmental and starters. NWP: The Netherlands Water Partnership, has on its site a search engine that lets you search the sites of all members of the NWP, so that when you search for jobs, you get the job pages of all companies in the Netherlands in the field of water. Especially in the US, but elsewhere as well. Development Jobs: A website with jobs in the development sector and e-mail service.